This shows the scale of grant reduction and financial pressures faced by the council from 2016/17 to 2019/20 compared to this year (left) and how the council is funding it (right). The Government's cuts to council funding were described as 'scandalous', 'very, very worrying' and 'a crisis' as Northumberland County Council's cabinet signed off its next budget this morning. A final decision on the budget for 2016-18 and the medium-term financial plan from 2016 to 2020, which will cut another £57.9million, will be made at a full meeting of all 67 county councillors on Wednesday afternoon. It is proposed to cut almost £12million in the coming financial year and just under £6million in 2017/18. This shows the Government's forecast, which does not match the reality, pictured above. Council tax will rise by 1.99 per cent - the maximum allowed without holding a referendum, while the council will also add an additional two per cent for use on adult social care, a special precept offered by the Government. But at this morning's meeting of the cabinet, primarily made up of members of the Labour administration, it was clear that the blame lay with Westminster for the level of financial pain currently being felt by the local authority - and the knock-on impact on taxpayers. Chief executive Steve Mason began by outlining how the Government's assumptions on the cuts to local authority funding fail to include issues such as inflation, the cost of capital investment and even unfunded commitments made by the Government itself, such as the national living wage and pensions reform. "They have looked purely at the reduction in government grant," he said. "We can't set a budget like that. You can see the gulf in the reality between us setting our budget and the Government's assumptions about it." Coun Robert Arckless said: "I'm very proud of what's been achieved in some of the most difficult circumstances I can remember in my 27 years as a member of this council. I do think there's a massive issue about how local government is funded, or isn't funded. Short-term political fixes aren't going to deal with the underlying crisis. "I'm really fed up with the politicisation of the way local government funding is looked at; when the funding formulas were originally introduced, after the First World War, the idea was that wherever you lived in the country, you had access to to a decent level of funding. There needs to be a root-and-branch reform of local government funding. People need to look at it objectively and, as far as I can see, that's not going to happen. There's a crisis, but it's not our crisis, it's a crisis of local government funding across the country." And it wasn't just Labour councillors who were critical. Leader of the Lib Dem group, Jeff Reid, said: "The Government's agenda is a drift towards making local people pay for everything. All that does is make the country less equal. London will be waist-deep in money and we will be struggling from crisis to crisis. The whole thing is scandalous. The administration has done a good job of trying to keep the whole thing afloat and Mr Mason is very skilled at creating a budget that works on paper." Independent group leader, Paul Kelly, said that you know something's wrong when the Conservative head of the Local Government Association, which has a majority of Conservative members, says something is rotten in the state of Denmark. Warning of the likelihood of privatisation, he added: "We are marching towards US capitalism at a rate of knots and it's very, very worrying. There's only so much to do to resist this tsunami of cuts from the Government." The one dissenting voice was Conservative group leader, Peter Jackson, who said: "We are all absolutely determined to protect front-line services and over the last four or five years, that's what has happened. I said six or so years ago that there were efficiencies to be made and I think the general public would say that there has been little impact on services so far. We think there's more room for manoeuvre, particularly in back office and management." While he conceded that some of the savings were imposed by central government, he added: "Some pressures are self-inflicted in my opinion." As an example, he pointed to the fact that an increase in capital spending had an impact on revenue spending as paying interest on loans, etc, is going to cost the council £20.7million over the next four years. But council and Labour leader Grant Davey described his comments as 'a load of tosh', highlighting the concept of 'invest to save'. Coun Jackson made two suggestions for amendments to the budget; one was to use cash reserves so that Haydon Bridge Fire Station does not need to be closed and the other was not to spend money building a new council headquarters in Ashington to replace the existing County Hall in Morpeth - one of the most controversial aspects contained within the budget. 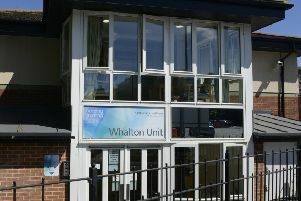 "This is a considerable expenditure by the council on itself and I just think it's plain wrong to do that when you are proposing some cuts in front-line services," he said. "I think residents in Northumberland just won't wear it." However, Coun Kelly said: "It's demonstrable that there are savings to be made on a yearly basis. The initial cost is not relevant if it delivers savings." On these two suggestions at least, Coun Jackson did receive support from Coun Reid and when the amendment failed, the pair voted against the budget, which was carried by eight votes to two.